Serve with Spice Bread Stuffing, Cranberry Chutney, Candied Sweet potatoes. 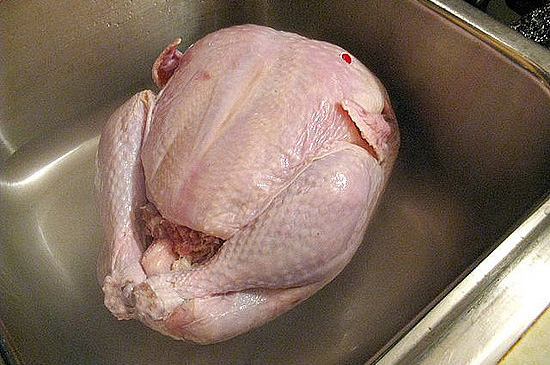 I bought a 20 pound frozen turkey. It took 4 days in the fridge to defrost. I unwrap it from its plastic and rinse it off in the sink, inside and out. Take out the giblets and the neck. Do what you want with them. Some save it for soup stock, others just throw it away. 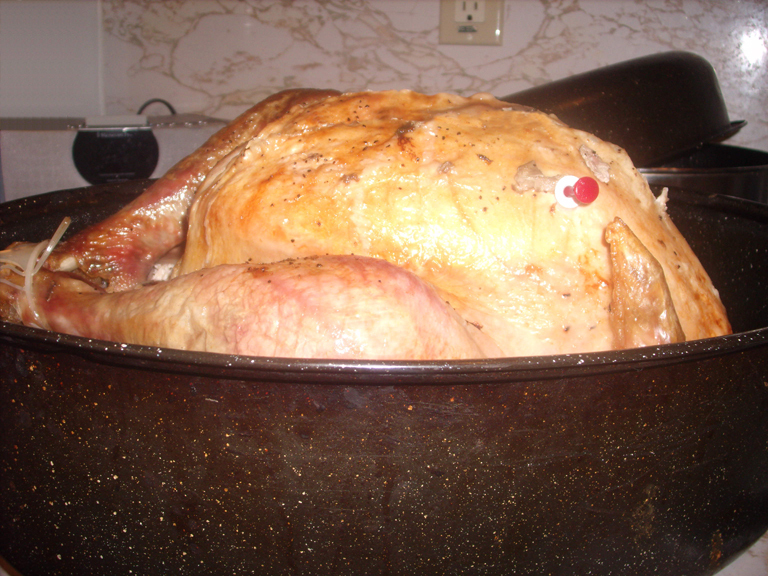 Put two cups of water in the pan with the turkey. I rubbed 2 tablespoons of butter under the skin of the turkey. I shake some salt and pepper on top. Less is more. 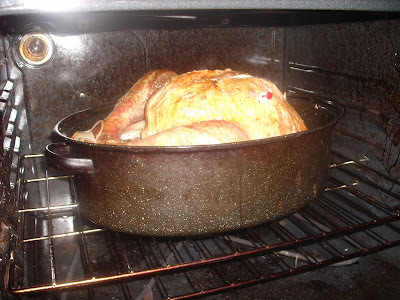 I don't like to season a holiday turkey too much. There are going to be so many flavors on the dinner table. Every 30 minutes you want to use a turkey baster or a ladle to scoop some of the liquid up from the bottom and pour it over the top. You don't want the top of the turkey to dry out. Using a oven bag you can skip this step. 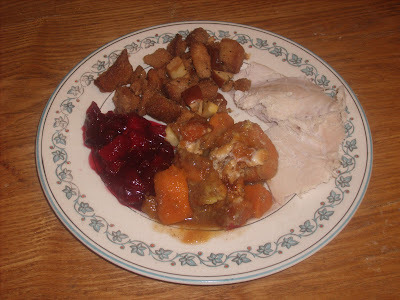 On average the calculation for cooking a turkey is 15 minutes for every 1 pound. Of course this is an average, my turkey was finished in 3 hours. I dunno, checking it every half hours will ensure it won't over cook. Could you imagine if I had left it in the oven for 2 more hours. It would have dried out.